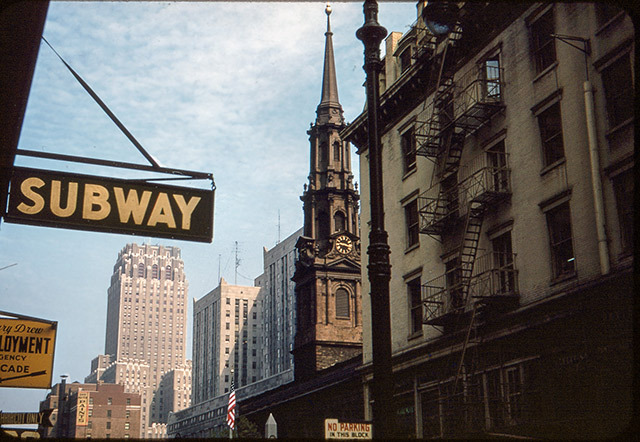 Some years ago I bought a small case at an antique store that was filled with Kodachrome transparencies. At the time I was really interested in the case itself since it was in such nice shape and was 50’s vintage. I thought it would display nicely somewhere around our offices. Not to say I ignored the slides within, but I really didn’t get a chance to look at them before I made the purchase. 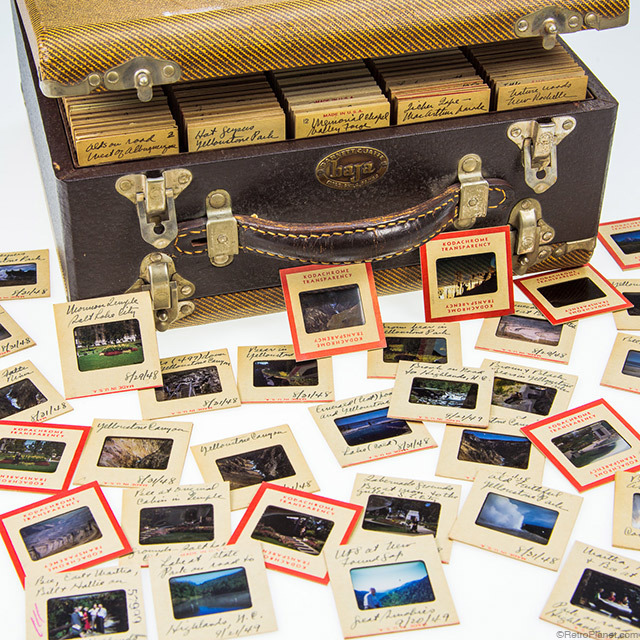 This beautiful vintage case came packed with vintage travel slides. 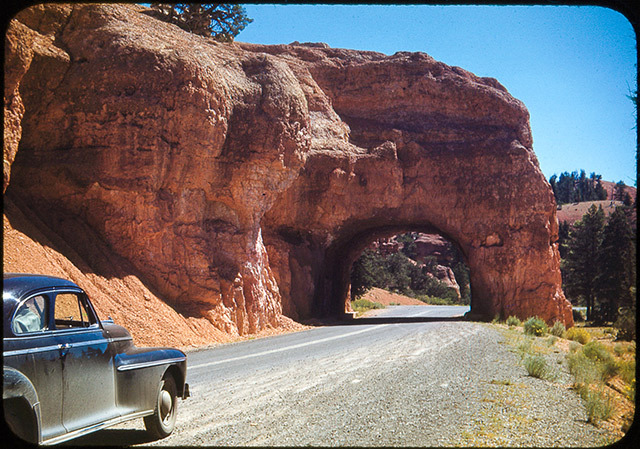 There are hundreds of photos taken in the 1940s and 1950s apparently by one person while traveling across the US. I finally got around to looking through the transparencies in the case and although this is no Vivian Maier find, the photographer certainly had a great eye for composition and most of the exposures are spot on. The images are an interesting mix of US travel destinations, including NYC, Zion National Park, New Orleans, Florida, Maine, the Grand Canyon and lots of other great locations. Every slide has handwriting on it indicating the date and location. They are dated from 1948 to 1954. This is the first in a series of blogs that will feature a handful of assorted slides from this case. Future posts will probably be location specific. I hope you enjoy them as much as I do. The Red Canyon, between Zion National Park and Bryce Canyon. Taken in Utah in 1948. 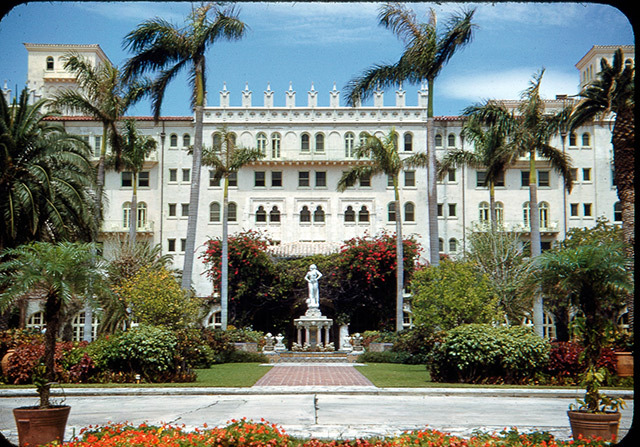 The Boca Raton Resort, Boca Raton Florida. Taken in 1950. 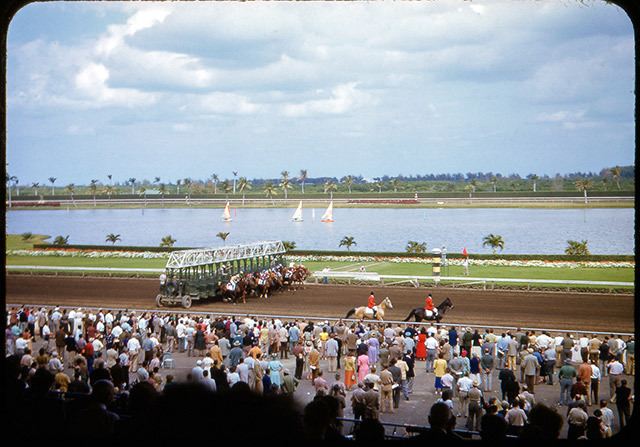 Gulfstream Park race track in Hollywood, Florida. Taken in 1950. The Nittany Lion Shrine at Pennsylvania State University. 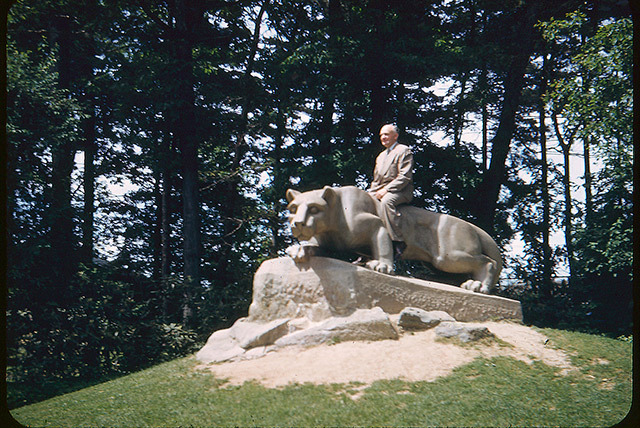 The lion was a gift from the class of 1940 and was erected in 1942. This photo was taken in 1950 and is probably of the photographer taken by his wife. 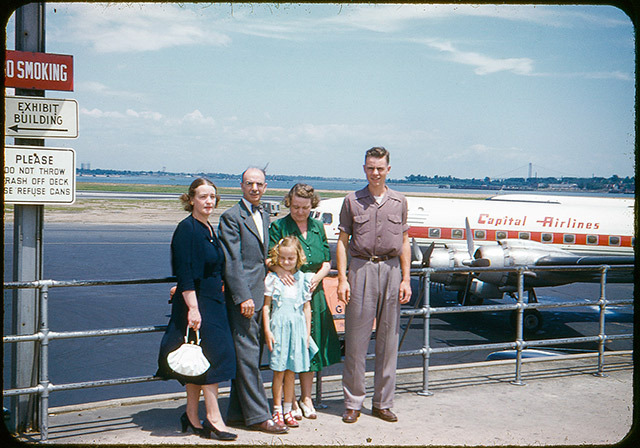 Family photo taken at La Guardia Airport, New York in 1950. 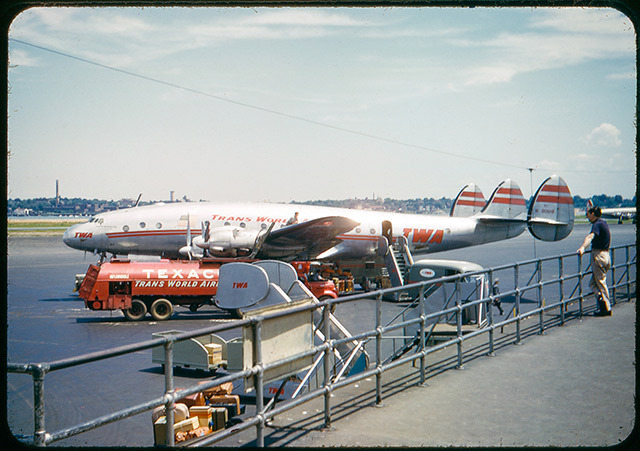 A TWA Constellation airplane and Texaco fuel truck at La Guardia Airport, New York in 1950. 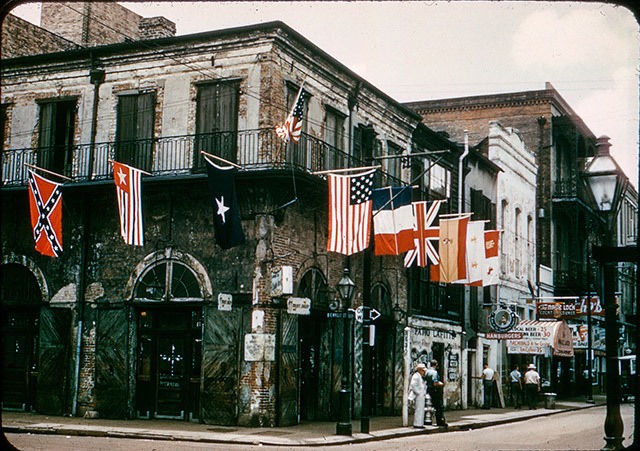 The Old Absinthe House on Bourbon and Bienville Streets in New Orleans, Louisiana taken in 1951. 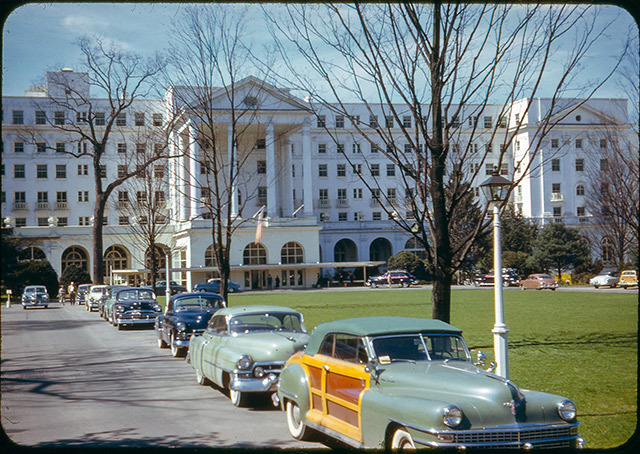 The Greenbrier Hotel in White Sulpher Springs, West Virginia. This photo was taken in 1951 and features some beautiful vintage cars. 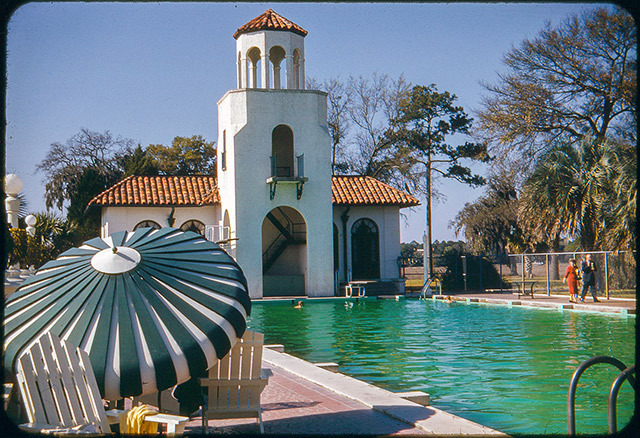 The General Oglethorpe Hotel pool, photographed in 1952. The hotel was located on Wilmington Island in Savannah, Georgia. A beautiful view of St. Paul’s Chapel, from Fulton Street in New York City, New York. Photo was taken in 1952. A view of Lower Manhattan taken from the Staten Island Ferry. New York City, New York in 1953. 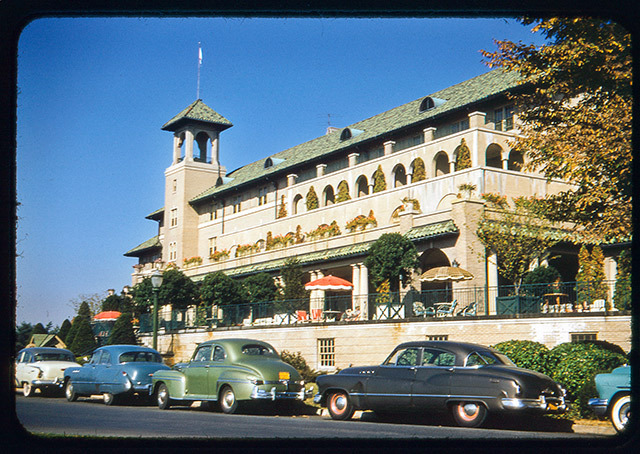 The Hershey Hotel at Hershey Park. Hershey, Pennsylvania 1953. 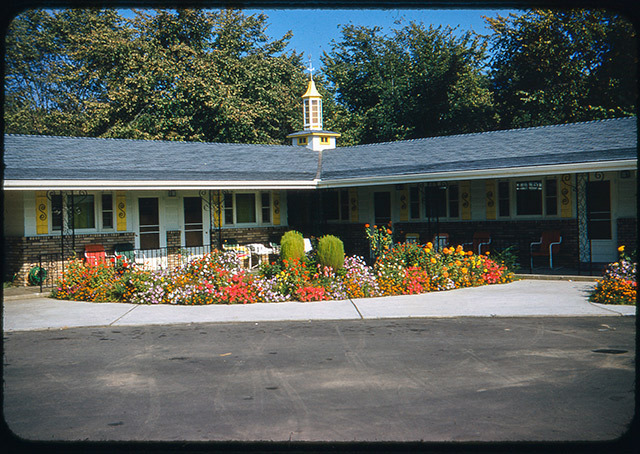 Scott’s Motel in Erie, Pennsylvania 1953. 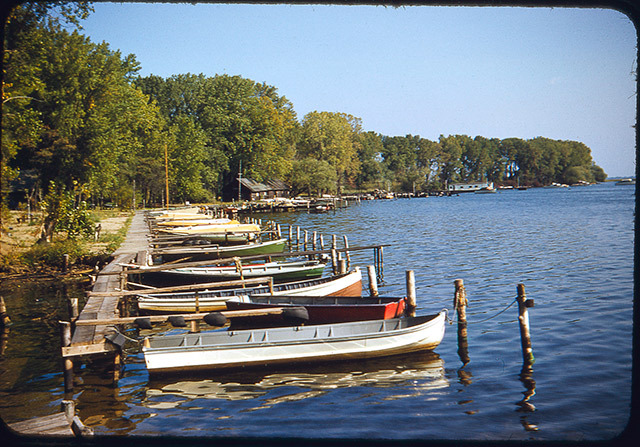 The harbor and sailing craft on Lake Erie. 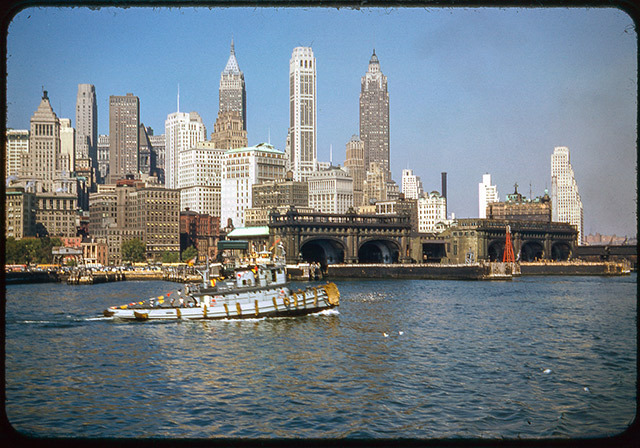 Erie, Pennsylvania in 1953.